Beatrice Solaris is known to be somewhat older than 250 years and younger than 300. It's known she followed her family's tradition of taking military service by signing up under Prince Benedict when she was a young woman, and followed him into shadow when he left some two centuries ago. She then returned a century later. Those paying very close attention might note it was around then that her son, Henry (Henrik), was born, though the family never exactly heralded loudly that he was her son. Many assumed she'd found some husband in shadow but came home to give her son a proper Amber education. Throughout this time (and still) she became known as an accomplished lute-player and composer and as a collector of songs and histories. She joined the Defenders of Kolvir about 85 years ago and rose through the ranks fairly swiftly, finishing as their XO before, in a move which surprised many though not all, she resigned shortly after the battle of Kitezh, though she retained a presence at MHQ as the Prince Marshal Benedict's knight. It was during this period, when the Black Road was laying siege to Amber's gates, that Beatrice led an extensive army (bearing black and silver colors) onto Amber's soil; working in coordination with MHQ she and Amber's army raised the siege. It is not generally clear whether this had the blessing of the crown (Corwin was still in Amber). A year or so later, Benedict and Beatrice were married, and she threw herself into several key projects: Lower City Emergency Preparedness, and the construction of a small military academy. Some months later, Benedict crowned himself king, catapulting this steadfastly apolitical woman to the role of king's consort and first lady of a court she had avoided her whole life. Strangely (to some) she and Benedict did not move to make her queen; she continues to use the title of Duchess of Arden Pass (the dukedom being an obscure courtesy title of her husband's) though it is clear the king regards her station as royal, and most give her royal precedence. 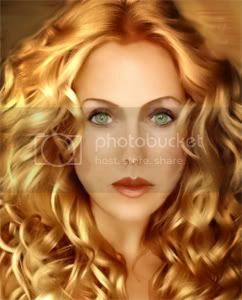 She is the second-eldest child of her father, the late Baron Melchior Solaris, and her mother, the dowager baroness Lady Laura Solaris. In the absence of her brother, Godfrey (rumored by some to be mad, Beatrice has managed Solaris family business, but since being catapulted to the palace, she has come to vest more of this responsibility in her cousin, Adellaine Karm. For those aware of the title (anyone who has undergone Initiation), Beatrice remains the Master of Rituals for Chantris. She has been resident at Rose House for some time, while maintaining a room at House Chantris. For some time the understanding within the family was that though she and Benedict shared a roof, political impossibilities prevented their marriage. Out of courtesy, they were treated as more-or-less married by House Chantris. At last, however, the political ground shifted (for whatever reason, though it's noted this was some months after Julian took the throne), and they married, and completed their family when Benedict formally adopted Henry, thus legitimizing him as their son. Now of course she and Benedict are resident at Rose House, with Henry absent for his own reasons. Her duties have frequently take her to various fronts or on diplomatic errands, though when she is in town she's often found at-home at Rose House. It's known she's spent a fair amount of time in Cibola and Penglai/Jade and may be a good person to go to with questions about these topics. Of all her cousins, she is known to be particularly close to Cyrus, Quina and Fiamme.